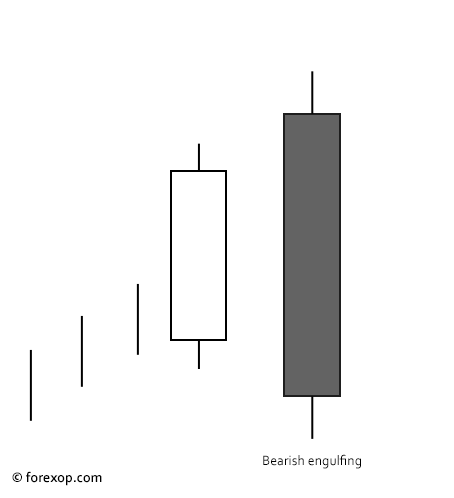 Bearish Engulfing Candlestick: When is it a Strong Reversal Pattern? A bearish engulfing candlestick is where a white candle is followed by a long black candle. The long black candle or bearish candle should engulf the white candle. This means its top is at or above the top of the white candle and the bottom is at or below the bottom of the white candle. This means the opening level of the black candle should be at or above the close of the white candle. If the black one opens above it, that means there was a gap between the close/open prices. Price gaps often happen over weekends or when the price is moving quickly. This candle pattern highlights points in time where market sentiment flipped from bullish to bearish. Are Bearish Engulfing Candlesticks Reliable? If you’re using engulfing candles as your main signal, I suggest reading my other article first. It looks at the reliability of this pattern based on real chart data. In summary, what it shows is that if you’d blindly traded the bearish engulfing candle in forex over the past decade, you’d probably have done slightly worse than if you’d traded on a coin flip. Nevertheless this isn’t to say that engulfing candles aren’t of any use. When using them, as with most charting techniques, we need to add some human judgement. Then and only then make a decision on which events to trade, which to ignore and which to counter-trade. Unlike a MACD signal or moving average line, one candlestick will only give you a snapshot of market sentiment at one single time instant. They aren’t able to predict long term market sentiment. They’re more a feature of supply and demand at a given point in time. For that reason, engulfing patterns are probably more useful to the day trader than to the buy-and-hold trader. As I said above, trading them blindly isn’t likely to be a profitable strategy over the long haul. We therefore have to use the bearish engulfing pattern together with other indications. We also have to be ready to counter trade them. By that I mean using them as a buy rather than a sell signal. It’s a strong pattern in terms of its size. This means the market sentiment flipped to bearish quickly and decisively at that point. The candle completes a bearish rising wedge shown by the green lines. The candle breaks cleanly through all three support lines of the wedge. This raises the odds of some further downward movement. Finally, a negative marker is that it broke up through the simple moving average line (SMA-200). At this point the crowd would have been anticipating an upward break and a reversal of the bearish trend. This turned out to be a failed breakout. Therefore these buyers will need to sell soon, probably adding to downward pressure. 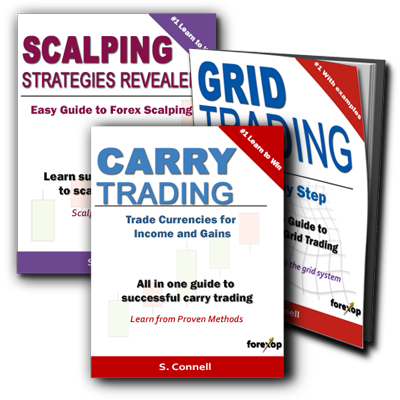 These are just a few examples of salient features that can help separate the weaker patterns from the strong ones that are more likely to lead to profitable trades. If you use Metatrader you can use a trendline indicator combined with the engulfing candle detector to help with the analysis. Both are free to use.